It’s a phenomenon many are calling the Instagram effect – and it means catching a Santorini sunset can start to feel like you’re trying to catch a glimpse of the Mona Lisa, with a soundtrack of clicking cameras to match. However, there are still a few picturesque places you can head for some relative peace and quiet. Here, we curate a few of our favourites. 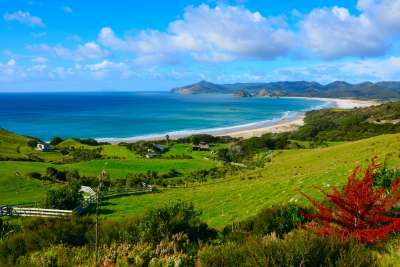 Not to be confused with Queensland’s Great Barrier Reef, Great Barrier Island is 285㎢ of rugged beauty, just a 40-minute flight from Auckland. Here, you won’t find any mains electricity or drainage – only private generators and septic tanks. What the island lacks in mod-cons, however, it makes up for in sprawling white sand beaches (sometimes deserted even in summer months), hidden hot springs and a network of bush tracks. It’s reachable from London in six hours by train, and even the Queen herself described it as ‘the very essence of elegance’. Bordeaux is known for its exceptional wine, striking architecture and close proximity to beaches. In 2017, it welcomed 6 million tourists - while this might seem like a lot, it pales in comparison to Paris’ 40 million. Expect the same delicious French delicacies, shady boulevards and buzzing vibes by the riverside – only with a bit more room to move. 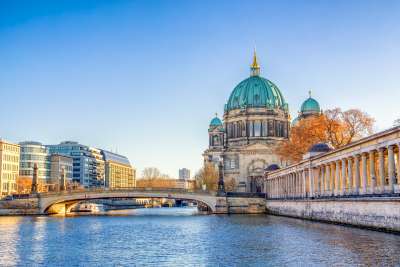 While Berlin is full of bucket-list landmarks - and plenty of snap-happy tourists to go with them – the city’s richly layered history and anything-goes population have made it a cultural trendsetter. From basement clubs to backstreet bars, explore long enough and you’ll find a hidden haunt that suits your mood. The central city is easily navigable by foot, bike or public transport, making exploration all the more effortless – pack your sense of adventure and dive on in. Boasting the world’s second-largest barrier reef behind Australia’s, this Caribbean gem’s waters are home to a rainbow of tropical fish, crowds of turtles and majestic whale sharks. Despite Belize’s popularity with tourists, spots such as Caye Caulker have retained a slow pace. Head there to munch on fresh seafood, sip a frosty beer and sink into the beat of a deliciously reggae vibe – minus the crowds. Look beyond the souvenir shops that line the main streets, and you’ll discover Anacapri’s secret charm. 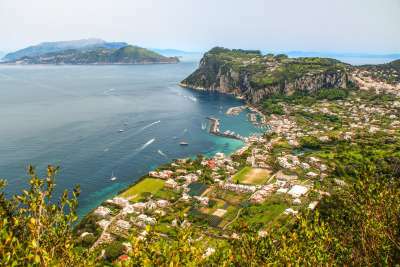 While the neighbouring Capri is jammed with towering hotels and prices to match, Anacapri has retained a distinctly village-like feel. This comes to life in the form of whitewashed buildings, bustling pedestrian lanes and jaw-dropping views of the sparkling Gulf of Naples. Rummage through the shops to find artisanal treasures, then find a café serving torta caprese – a decadent almond, Italian chocolate and walnut cake that originated on the island. While this region is enduringly popular with those seeking Ayurvedic health retreats, these are best experienced in cooler months. Therefore, if you visit in the off-season of April to May, Kerala will treat you to a hot clime, a slow pace, fewer crowds and discounted hotel rates. It means the state’s natural riches – from spice-covered hills to shimmering backwaters to emerald jungles teeming with exotic wildlife – are all yours to enjoy. In the rush to reach hot spots such as Santorini and Mykonos, Greece’s mainland can often be overlooked by holiday crowds. 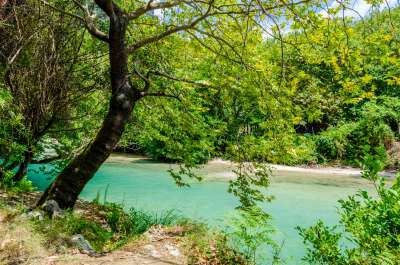 It means that treasures such as the Acheron River – which flows from the small village of Zotiko to the Ionian Sea – remain comparatively quiet, despite their beauty. 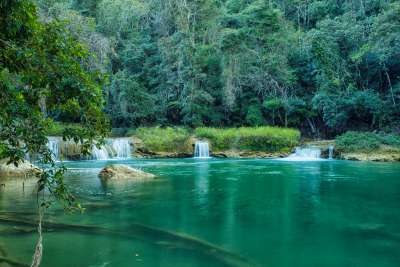 Clamber along the rocks to find the most serene spots, and soak in the spectacular gorges and crystalline blue waters before reading up on some of the river's ancient mythical stories. Comprised of three small islands off the northwest coast of Lombok, the Gili Islands have been described as ‘Bali 30 years ago’, with unsealed roads leading to pristine beaches, and groups of turtles swimming serenely beneath the surface of the sea. Enjoy a sunset sail on a handmade wooden boat, knock back a Bintang with your dinner and rent bikes to circumnavigate the islands at your own pace, enjoying the laid-back atmosphere that has made these islands so loved. 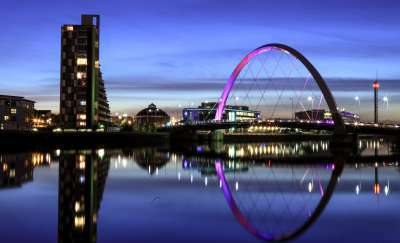 While Edinburgh is home to a small, compact city centre jammed with iconic sights that have made it a tourist favourite, Glasgow offers a buzzing atmosphere, streets crammed with pubs and clubs and a legendary live music scene. For more sober pursuits, seek out its rich collection of museums and galleries, most of which are free to visit. Switch your watch to island time – there’s no point being in a rush around here. This Pacific nation is known for its unpolished coastline, jaw dropping diving spots and rugged hiking trails. Chickens and pigs roam the streets, and understated resorts offer an authentic take on luxury. 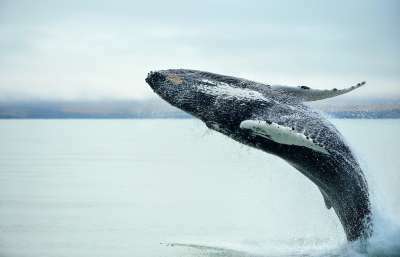 Visit between July and October, and witness the climax of the spectacular humpback whale migration – where females give birth to their calves in the sheltered Tongan bays.